Whether you're a camper, hiker, fisher, peak-bagger or RV captain, 1.5 million acres of wilderness is begging to be explored in Arapaho National Forest. 1.5 million acres of protected land is open to a wide variety of activities. Hiking, mountain biking, rock climbing, horseback riding and cross-country skiing are some possibilities. 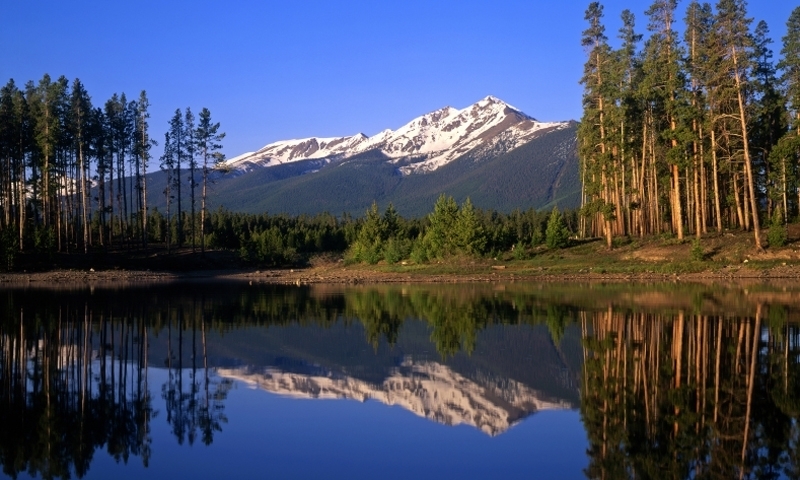 The five large lakes designated for boaters and fishers include Grand Lake, the largest in Colorado. From snowshoeing to summer picnicking, activities are available year-round. Visit wildlife in its native habitat, as forests, lakes, mountains and valleys reveal their natural beauty to those willing to venture out and take advantage of this protected area. Anywhere from mountain streams to high alpine climate, you'll find something to fit your pleasure. If you're trying to get into some open space, try out the Vasquez Peak Wilderness. Mostly above timberline, it's high country wilderness above 10,000 ft., so the vistas will be stunning. So many trails, so little time! Consider hiking the Arapaho Pass Trail, widely considered a summer favorite. It's either a good warm-up for those with stout legs or a trying hike for those just getting out for the first time. Take a tour on some of the many gorgeous drives of the area. The Mount Evans Scenic Byway is the highest paved road in the country, topping out at an amazing 14,130 ft.
Often paired with Roosevelt National Forest, the southern twin is Arapahoe National Forest, Colorado, extending north of I-70 from Idaho Springs to Dillon, ending at Rocky Mountain National Park, approximately. Road, trail, campground and lake access vary according to the seasons, with some open year-round and others only in the summer. Some campgrounds accept reservations, which are highly recommended is July and August. For reservations, call (877) 444-6777. Fees vary. Important wilderness area in northern Colorado. More forest information on our Winter Park website. Mountain recreation area near Aspen Colorado.